This article has been written before, well, sort of, by Patrick Chemali (no relation). But whereas Patrick focused on the digital divide my theory engulfs practically everything. Yes, it is always a case of "us" vs "them", no matter what us is, no matter what them is. However, I also noticed, from a long time back, how people project their own fears, upbringing, ideologies, on others just to either reflect, justify or second their own. Someone who only recently started reading my writings came to the conclusion a couple of months back that "I am most definitely right wing" in a private conversation. That the guy in question is a self-admitted xenophobic and misogynist only gives more sense to my theory - he projected his own ideas on me and saw "right wing" in my writings. Naturally, this would not be the first time people injected their own interpretations on my work, and mind you I could easily be the only person to have been quoted in a Lebanese Forces chatroom and in the Orange Room belong to the Free Patriotic Movement, and that at the height of their political differences with each understanding my words as they wish them to be. Here's an anecdote: the girl who came to the gallery every night to contemplate one of my works during my first major solo exhibition puzzled me. I asked her on the last night before closing, "sorry, what do you see in this work?". "Obviously it is about education" she said about my work. "Where do you see that?" I inquired with a look that betrayed my astonishment. "Oh you don't understand anything about art!" was her reply. But if I am digressing it is to make a point. J.F. Sebastian: Not really. I make friends. They're toys. My friends are toys. I make them. It's a hobby. I'm a genetic designer. Somehow, we too "make" friends, we mold them into the way we want to see them, we shape them according to our beliefs, ideas, ideals, principles, thoughts and convince each ourselves that these people are indeed how we see them - until the day when "they are revealed to their truth" (which basically what they have been all along and which we have convinced ourselves otherwise). Several days back, I got a whatsapp message late in the evening which went "hey Tarek, can you give me the number of the man who fixes stuff once more?" - that the person who wrote it was an exceptionally close friend for two decades, that at one point she was abusing of my kindness and creativity (to which I turned a blind eye thinking it was a passing episode), that basically I have not heard of her for the past 5 years after a major disagreement while working on a creative project, only made her message more poignant and sad. She had sent the message by mistake. It was meant to go to another Tarek. But again, the above story only serves to say that none of us is immune of "making" friends - like J.F. Sebastian. The image I had of the friend in question was one self-built above all. But perhaps there is safety, not just in numbers, but in habits as well. 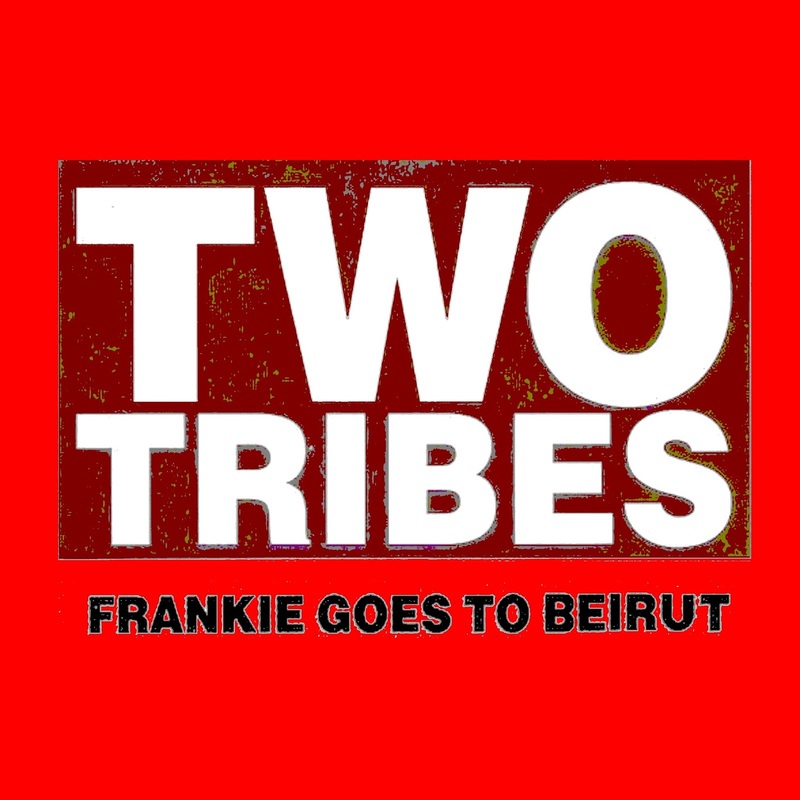 People who share the same social, religious, personal, sportive rituals as us end up being our "tribe", for better or for worse. Of course a Brazil fan in football can sympathize deeply with another Brazil fan and scorn a Mannschaft follower. So far so good, but imagine if one of the Brazil fans comes from a drastically different socioeconomic class than the other one even if - and that is a big if - they come from the same, not just religion, but also sect. The local saying goes "ana 3ala ibn 3ami w ana w ibn 3ami 3ala el gharib" - me against my cousin and me and my cousin against the stranger. Got it? "Yalli byekhod min melle ghayr mellto, byou2a3 bi 3elle min ghayr 3ellto" - he who marries from a sect/religion other than his own falls into a problem other than his own. So goes another Lebanese proverb. If a proof is needed that we as Lebanese gravitate towards what just looks and acts and has the same background as us, this is it. And not only that, we tend to take that background and parade it wherever we go hoping someone who has it will be attracted to us. As I was walking on 5th avenue in New York in 1999, a stretched black limousine with tinted windows passed me by. On the back glass was a St. Charbel sticker - it seems to ask the question; is there any other person of Lebanese Christian Catholic Maronite affiliation here? 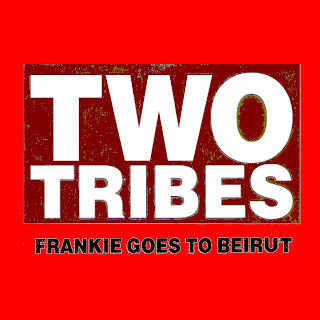 There you go: Two Tribes, Frankie goes to Beirut.